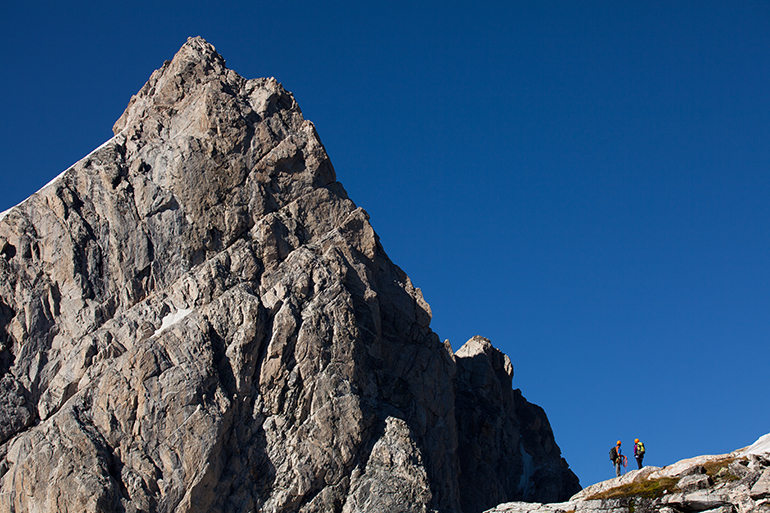 With its tightly grouped peaks and reliable weather, the Teton Range is renowned for incredible traverses. 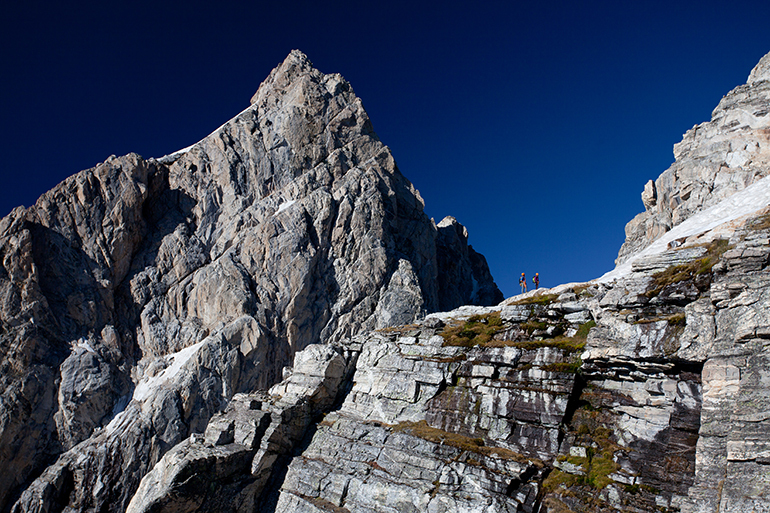 Each traverse offers stunning views, excellent climbing, and the satisfaction of reaching multiple summits on a single day. 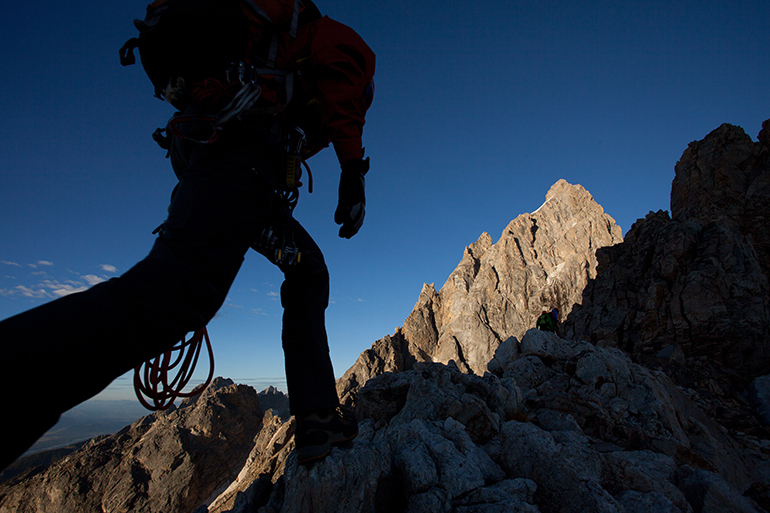 The traverses in the Tetons are only recommended for experienced climbers. Teewinot Mountain, Mount Owen, and the Grand Teton are known as the Cathedral Group because of their majestic appearance from the northeast. 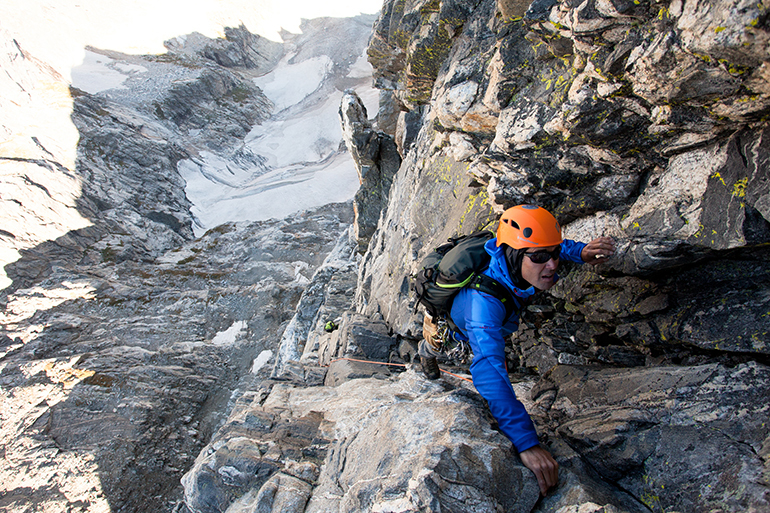 The entire climb involves hard, roped climbing, intricate down-climbing, rappelling, and complex route finding. The Cloudveil Traverse is the easiest of the Teton traverses, but it is very airy with awesome exposure on the south into Avalanche Canyon. The traverse connects the South Teton, Ice Cream Cone, Gilkey Tower, Spalding Peak, Cloudveil Dome and Nez Perce in one long push. 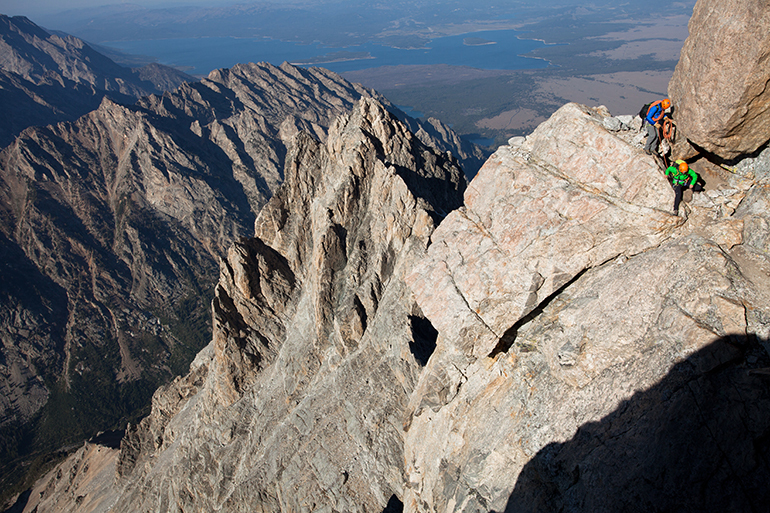 The Grand Traverse is one of North America’s most famous traverses. 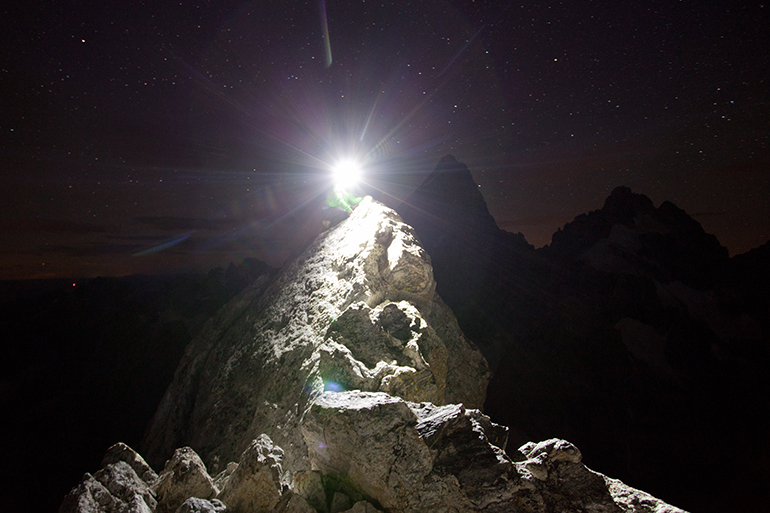 It links Teewinot, Mount Owen, the Grand Teton, Middle Teton, South Teton, Ice Cream Cone, Gilkey Tower, Spalding, Cloudveil Dome and Nez Perce for a grand total of ten summits. 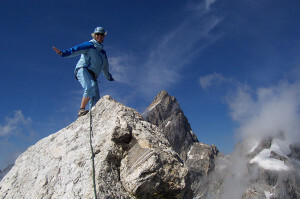 Although the actual logistics of the traverse may vary according to the conditions, Exum typically recommends three days for attempting the traverse. The summit of Teewinot is one of the most spectacular in the range. If the party chooses the classic East Ridge of Mt. 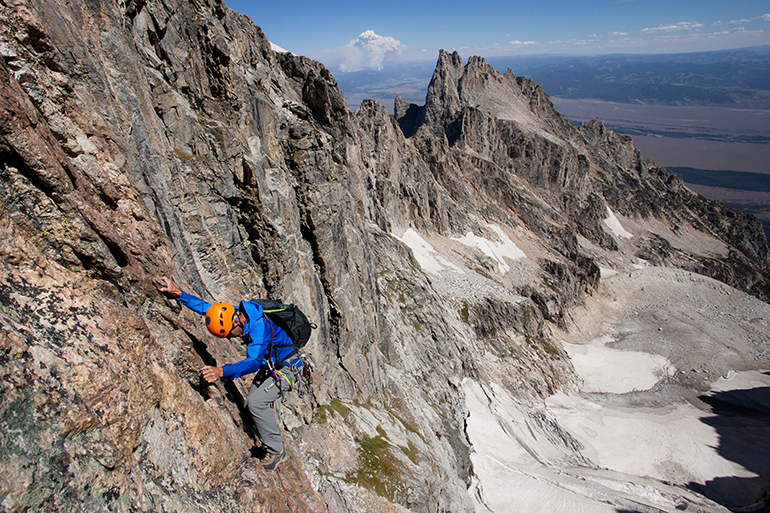 Owen, they will encounter challenging mixed climbing on the second highest Teton summit. 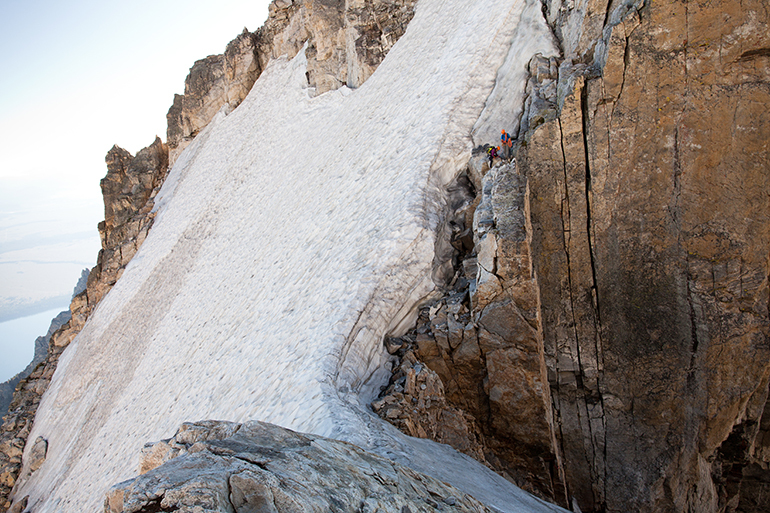 The traverse is typically done in two days with a bivy, usually on the notch at the top of the Koven Couloir. Please call our office to discuss these options. 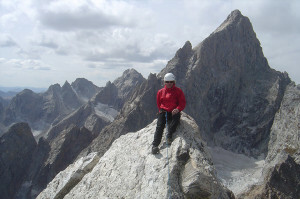 Exum typically requires that you climb an appropriate check-out climb with one of our guides before planning a traverse.